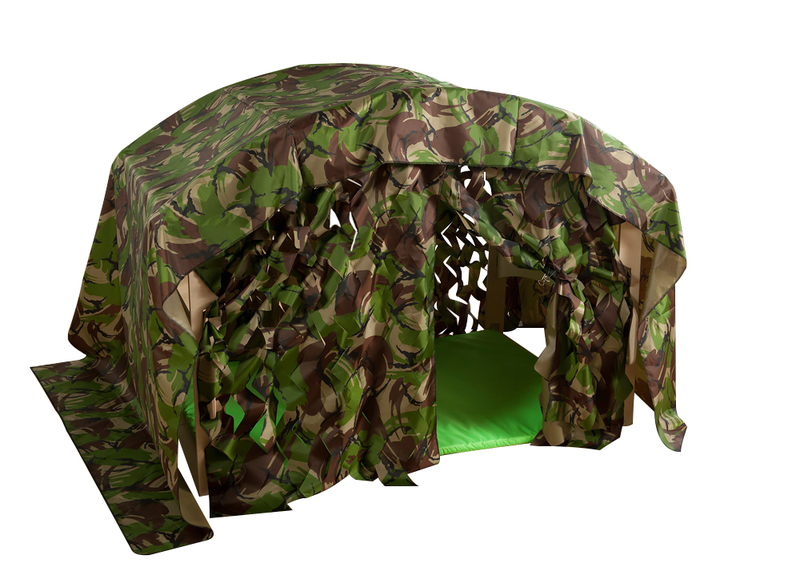 The den camouflage kit is an accessory to the indoor/outdoor folding den and includes a camouflage cover, four camouflage net curtains and a lime green splash proof and easy clean mat. The accessory kits for the indoor/outdoor folding den are manufactured sustainably in the UK and are suitable for children aged 3 and above. The camo accessory kit is ideal for creating an physical play area as it provides a comfortable den for rest or play that can be used indoors or outdoors. 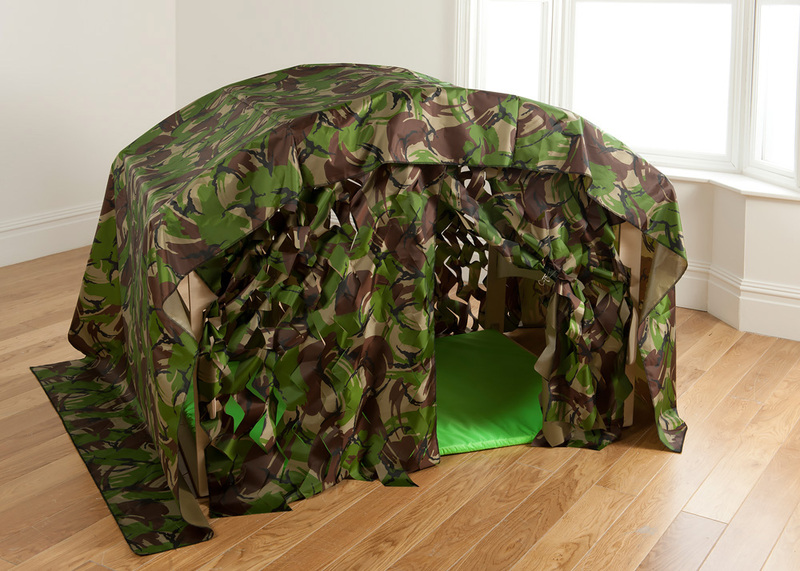 Please note: The wooden frame featured in the product images is not included with the camouflage den kit. Please Contact Us or alternatively call for more details on 01733 511121.